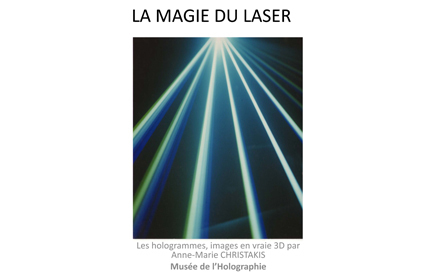 For more information on holography, flip brochure "Laser Magic", currently in French. The technique described here is traditional holography, also known as analogical, and has a costly and complicated creation process. 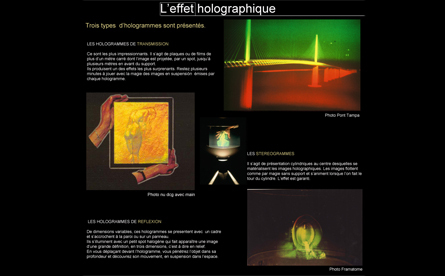 There is more and more digital holography. However, to make a comparison, analogical holography is in high definition while digital holography is, for the moment, in low definition.